The Sanford Police announced yesterday that after a review of the incident, no criminal charges were warranted. This was expected from the details available at the time of the dispute. 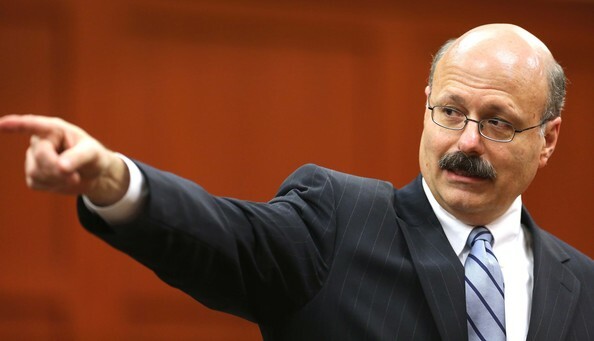 George Zimmerman’s Attorney has indicated that he and his client may seek reimbursement for between $200,000 and $300,000 in costs expended during his defense. It must be noted, because multiple media outlets have been reporting it unclearly, or incorrectly, that this money is not for legal fees. 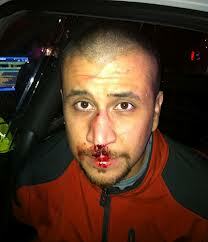 Zimmerman cannot be reimbursed for the money that would go to his attorneys. The money is limited to money for taxable costs expended by any defendant who is found innocent, potentially including a great deal for witness fees. That’s a substantial amount to tack on to the nearly one million that has already been laid out by the State to prosecute the case. As I said, the legal fees are not included in this request. Mr. O’Mara indicated that neither he, Don West, or the rest of the Defense team have received any money for their work on this case. That’s the best legal value in history, for superb representation from experienced attorneys. If Zimmerman is sued in civil court, for instance, if the Martin family files a wrongful death claim, he could potentially be reimbursed attorney’s fees for defending that suit, if he can demonstrate that he should have been immune from prosecution. He did not file an immunity motion in the criminal case, but that wouldn’t rule out exercising that rule if he were to be sued. It serves as a deterrent to the filing of such lawsuits. My review will follow soon, including why this is not a stand your ground issue. Prosecutor Bernie de la Rionda is doing a good job with what he’s got. Regardless of the outcome, I will reiterate that it was probably a good decision for the Defense not to put Zimmerman on the stand. De la Rionda is pounding the flaws and inconsistencies in his multiple statements. That was the most effective part of the State’s case presentation. The would have had the opportunity to hammer him with difficult questions for hours on the stand; which didn’t work out so well for Jodi Arias. The State seems to be using what I call a spaghetti approach- they are throwing everything at the wall to see what sticks. They are arguing both murder and manslaughter, they keep trying to question whether Zimmerman was winning or losing the fight. I think they’d be better served going all in on the murder charge, or at least conceding that Martin was beating Zimmerman. The fact that his head was SPLIT OPEN in “only” two places, or that the impact lacerations where “only” centimeters is not a strong argument. The state should have concentrated on their stronger arguments. The State has finished, the Defense will argue in the morning (8:30), followed by State rebuttal, then the jury will deliberate. The Defense rested without Mr. Zimmerman taking the stand, which wasn’t surprising in light of how strongly the evidence has favored Mr. Zimmerman. The Defense concluded their case by calling Zimmerman’s father to the stand to add to the litany of witnesses that identified the screams for help as belonging to George Zimmerman. The State called a rebuttal witness yesterday, and may have another today. There are quite a bit of arguments that the court decided to hear in the morning, as opposed to having another marathon session like the one that lasted until nearly midnight Tuesday night. The court expects to have the jury back at 1 pm, hopefully to begin closing arguments close to that. Both sides have asked for 3 hours. I suspect the judge may keep the jury late to try to conclude arguments in one day. She may even offer them the possibility of beginning their deliberations with dinner. Why not, they are sequestered and don’t have anywhere else to go. The complicated issues that have been dealt with over the weeks of testimony may cause the deliberations to run into next week: but it could be a very quick verdict. I saw a manslaughter case argued several years ago here in For t Myers where a young man was killed. The jury came back very quickly with a not guilty verdict, surprising many watchers who thought the young man’s death would warrant more substantial deliberation. However, the jury came to an agreement pretty quickly, and didn’t hesitate to walk that defendant. The facts were completely dissimilar to the fact of George Zimmerman’s case, but if the jury agrees, there could be a short deliberation. All along I have anticipated that Zimmerman would take the stand. Defendants almost always need to take the stand in self-defense cases. As an affirmative defense, self-defense requires a defendant to prove that he had a reasonable fear that made his use of force appropriate. It’s very hard to do if the Defendant doesn’t take the stand. 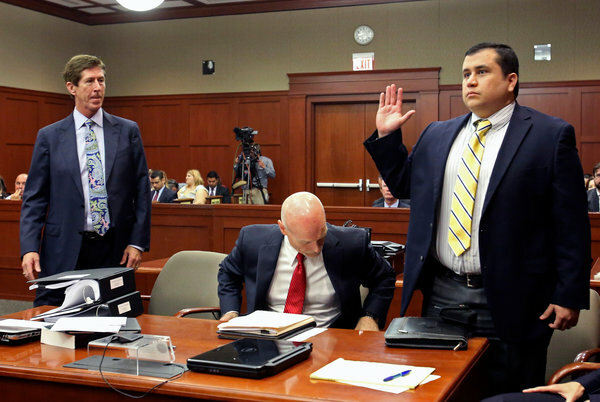 However, Zimmerman’s defense has already been laid out for the jury. The jury has heard first hand, during the State’s case-in-chief, no less, testimony from Zimmerman. They have heard him describe in detail how he was beaten, and seen ample physical evidence to support his story. They have heard his claim that Martin told him that Martin was going to kill him during the beating, and how he was afraid for his life. If the jury finds that reasonable: if they believe him, or believe enough of what he said to give them a reasonable doubt of his guilt, he should not be convicted. The jury heard his claim multiple times during the multiple interviews he gave to detectives, first at the station, then on video, walking them through the neighborhood where everything occurred. It is not necessary for him to testify to make the case to the jury. There are risks in putting him on the stand. It will give prosecutors a chance to attack his credibility, to question his motives, and to challenge him for following Martin after he was basically told not to by the 911 operator. A skillful cross-examination could reduce his sympathy with the jury, and give the state another chance to develop their theory that he wanted a confrontation or to suggest malice in following Martin. While the jury may like to see the Defendant take the stand to protest his innocence, they will be instructed by the court not to take that into consideration. And as the Defense can point out, they have already heard Zimmerman’s story during the multiple interviews he gave to police. I have long anticipated that Zimmerman would take the stand. But with the risk being high, and the case going so well, I’m not so sure we’ll see him on the stand. Frankly, if the Defense feels confident that they are in the driver’s seat, they may not want to risk handing the keys over to the State in cross-examination. It’s a tricky strategic decision the Defense will not take lightly. As the case draws near a conclusion, we will know their decision soon. UPDATE: Zimmerman has decided not to take the stand. I think that’s a reflection of how well the trial appears to be going for the defense. If he is found guilty, the decision will be horribly second guessed, but right now, that seems to be a smart decision based not only on how strong the defense case appears, but on limiting the risk of the case turning the other way during a long cross-examination. The Defense has now rested their case, and the State is beginning their rebuttal.